Description Welcome in the world of War Face! 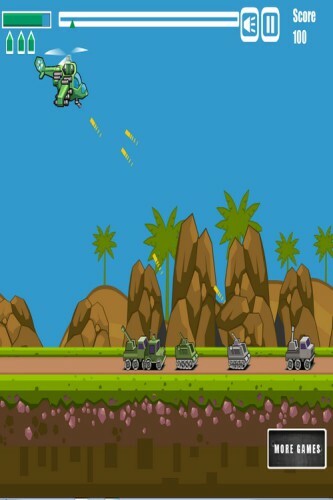 Fly around in your helicopter and shoot those ground troops. The army on the ground is trying to take you down and not let you reach the other side of the base where you can land. Controls Arrow keys or WASD to move. Mouse to aim and shoot.